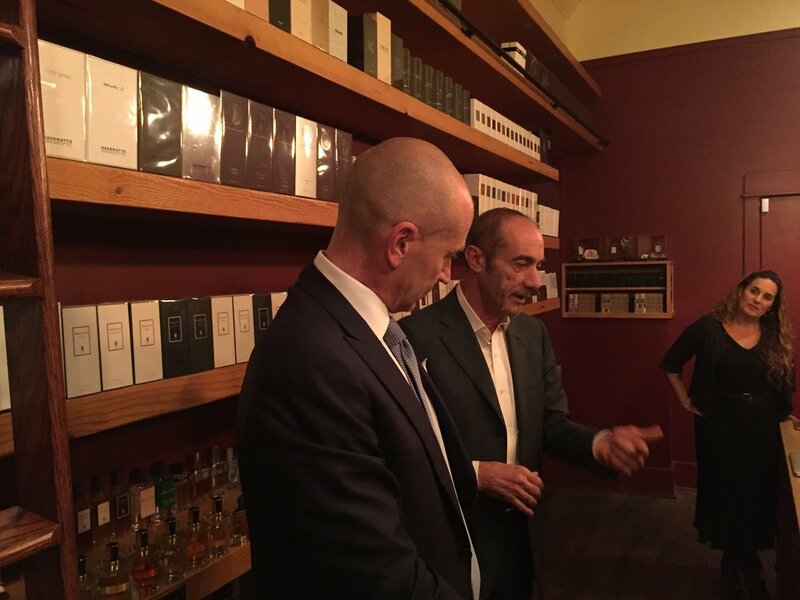 The evening of October 26 was a celebration of the elegant creations of Italian niche perfume house Profumum Roma featuring special guests Luciano Durante and Fabrizio Cipriani. 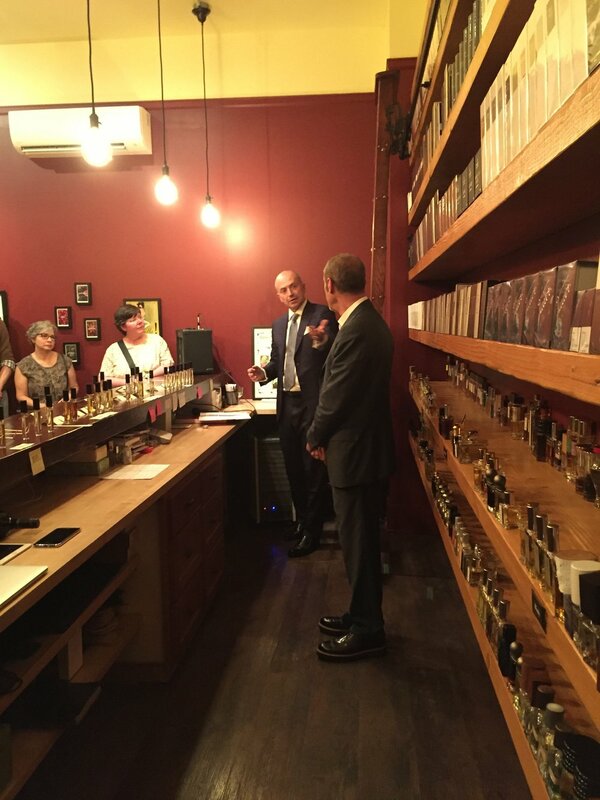 Durante is one of the founders of the perfume house and Cipriani is a longtime friend of the Durante family and currently serves as the North American brand manager for Profumum Roma. 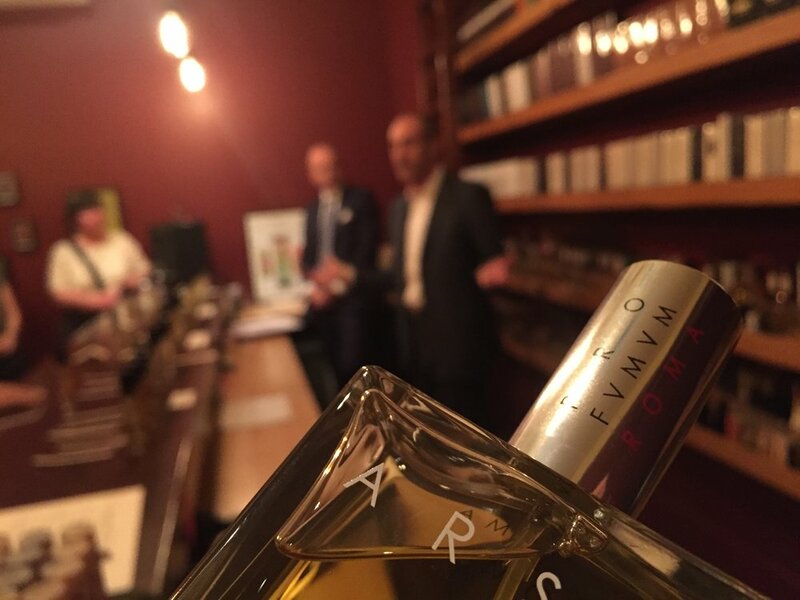 Over the course of the two-hour long event, Durante and Cipriani discussed the origins of the house, the inspiration behind many of Profumum Roma's creations and what drives the Durante family to create new fragrances. Durante and Cipriani then fielded questions from audience members with Cipriani listening intently and acting as Durante's interpreter. 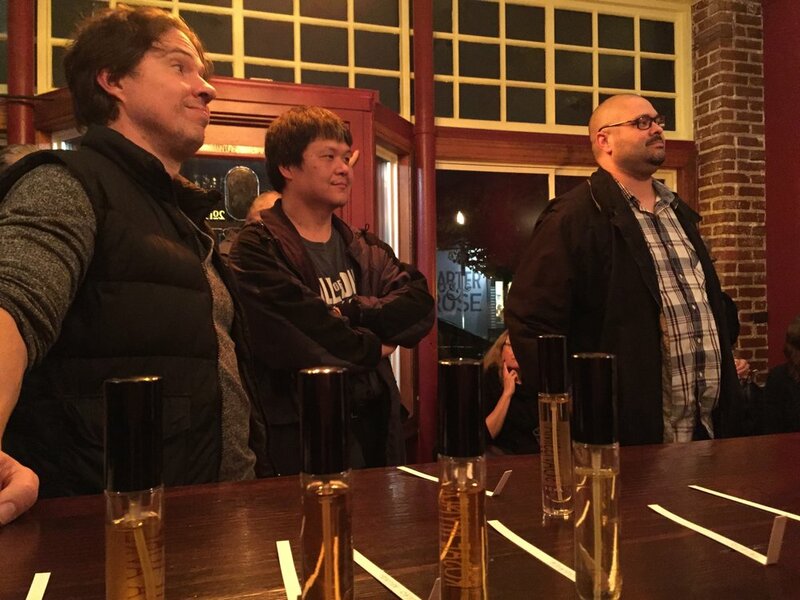 Audience members were then invited to sample the collection of over two dozen fragrances, all of which were laid out on the counter. Check out some of the photos from the event below. We would like to thank everyone who attended the event and a offer a very special thanks to Luciano Durante for flying all the way from Italy and to Fabrizio Cipriani for participating in and helping to plan this wonderful night! Apologies for the low quality of some of the images—circumstances forced us to use an iPhone camera to photograph the event so they aren't as sharp as usual.